China: a huge nation, with almost a billion and a half people, isolated for millennia behind the Great Wall. A country whose dizzying rise in the last 20 years has led many to think that it could soon become the world’s biggest economic power. 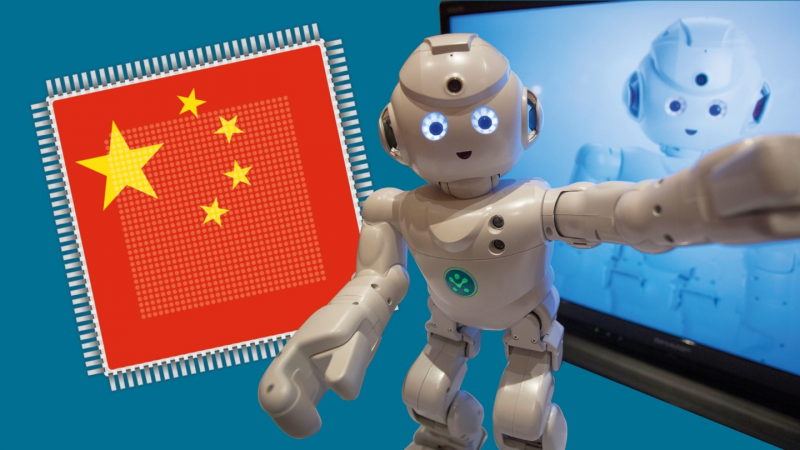 Between extraordinary hi-tech drives and a rigid political conservatism, China has found a way to renew its isolationism behind the Great Firewall. It has not always been like this, however, if we think that China has rarely been what we might today consider a united nation. Even more, if we consider that it had a third-world economic development from the end of the XIX century until the nineties. 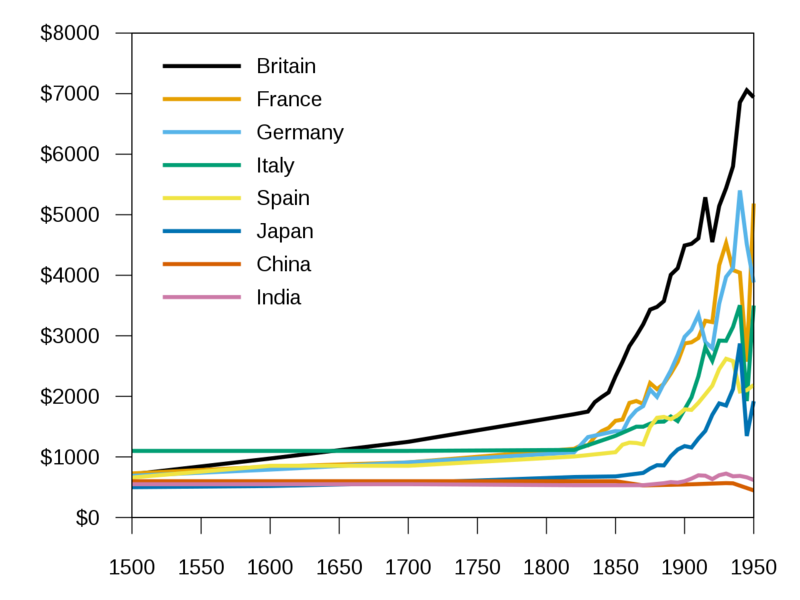 An economic development that, in the context of a phenomenon known as “The Great Divergence”1, saw the exponential explosion of Western countries, leaving the Asian ones at the stake, with only Japan as the faint exception. China’s history is the history of a complex country, used to be a world leader in science and innovation in general until the XVII century. Innovations such as the four great inventions (the compass, movable type printing, paper, gunpowder), crucial in the subsequent development of Asia and Europe are, in fact, Chinese. However, if we are to understand at least some of contemporary China, a brief recap of its recent history is needed. Between 1912 and 1950 China remained stuck in a long civil war, between the nationalist party Kuomintang and the Communist party. Before this civil war, China had been governed for millennia by the dynasties, whose political and religious doctrine was enough to justify their existence. However, it took only half a century to change the Chinese political and cultural structure forever, with a transformation from a third world economy to a centralized industrial power. In the nineteenth century, under the Qing dynasty, the English “opened” (euphemism) the way to the East with the two Opium Wars, which effectively forced open the Chinese trade2 to foreign powers, including the United States and Japan. Given the inadequacy of the Qing to cope with the situation, some regions became self-sufficient entities locally controlled, effectively weakening the dynasty even further. Others demanded a strengthening and a modernization, something that the Qings were not able to implement anyway. After the first Sino-Japanese War in 1894, the definitive degradation of the Qing dynasty began. The occupations and looting by the foreign powers, which also participated in Italy, aroused a strong feeling against anything Western sounded, leading to the rebellion of the Boxer. The consequences of this rebellion were dramatic, leading to the occupation and partition of China. With the rise of the twentieth century, Sun Yat-Sen sought to exploit the weakness of a dynasty led by a newborn3, to overthrow the Qing with a revolution based on the principles of nationalism, democracy, and social welfare. Under this banner, a series of revolts broke out across China, revolts that were also joined by the army. The Qing were overthrown, General Yuan Shikai became the president of the new People’s Republic of China. But Yuan Shikai was a soldier, and unfortunately, he failed to have any substantial impact in the unity of the country. When he died, regionalism rose to such an extent that it gave birth to the era of the Warlords, which immobilized China for two decades. The Treaty of Versailles at the end of the First World War did not just plant the seeds of Nazism in Europe. In fact, it assigned the ex-territories of defeated Germany to Japan, triggering a series of revolts of the population demanding the abolition of old traditions, the defeat of Japanese imperialism and the creation of a new united China. This led the nationalist party of Sun Yat-Sen (known as Kuomintang), and the CCP4 to form the First United Front to defeat the Warlords. Sun’s death, however, did not help the unification process: the united front succeeded in getting rid of the Warlords, but the tensions of two opposing philosophies did not take long to break out. The nationalists started the “white terror”, with several massacres aimed at the annihilation of the communists. This, in fact, sparked a civil war that lasted more than ten years, forcing the communists to a very long escape of almost 9000 km, known with the name of Long March, led by Mao Zedong. Although with serious losses, the guerrilla tactics carried out by Mao managed to wear down the nationalists, and after the second Sino-Japanese war in 1937, they accepted the constitution of a second united front. The nationalists controlled most of the cities, so it was them who suffered most of the Japanese offensives during the Second World War and Mao took the opportunity to consolidate his popularity. The Kuomintang chased the Soviets out of Manchuria but was later forced to surrender to Mao’s exhausting guerrilla warfare. Once taken Manchuria, the balance had been shifted in favor of the CCP, and on October 1, 1949, Mao proclaimed the birth of the People’s Republic of China in Beijing. However, Kruschev’s 1956 speech on the cult of personality and the subsequent de-Stalinization of the Soviet Union led Mao to launch the “Great leap forward“, in order to accelerate technological progress, mostly at the expense of agriculture. Unfortunately, the outcomes of a policy that was, to say the least, ill-conceived5 were catastrophic, leading to an unprecedented famine6, and Mao’s role in the party was cut down. To regain control, Mao decided to “purify” the country and the party from the counter-revolutionaries, accusing them of being followers of capitalism and launched the Great Cultural Revolution. What followed was a period of purges and violence, probably one of the bloodiest in all of Chinese history. The cultural revolution ended in 1976 with the death of Mao, but the consequences of a disastrous economic development remained, generating social frictions that resulted in the incident of June 4th in Tiananmen Square, where thousands of protesting students were massacred by the army. The limitations on the freedom of expression that followed are the basis of the restrictions that lasts to this day. China has a long history of isolationism by the construction of the Great Wall. Today, in the Internet age, things could not be that different, especially under a socialist regime. In contrast to the situation in North Korea, where the internal network is completely disconnected from the rest of the Internet, China implemented the Chinese Great Firewall, which was finally put into operation in 2006 (detailed discussion in the video below). In fact, all “external” Internet services, such as Facebook or YouTube, are blocked in China. Not only that, after a long period of “whack-a-mole” style pursuits, the government has taken a more radical approach by asking all VPN providers to open their services only to the internal network, starting on February. This censorship, while on one hand has become increasingly effective in isolating internal content from the global network, also had the side effect of favor the flourishing of a whole set of technologies and platforms, in many ways unique in the world. In fact, practically all these services have been replicated in some way in China, then taking a different evolutionary path. For example, instead of Google as a search engine there is Baidu, instead of Google Maps there is Baidu Map, Ebay’s place was taken by Alibaba, while Xiaomi would be the Chinese version of Apple (the list goes on). Not only that, but tools like Weibo, with its more than 300 million microbloggers has become a powerful political tool, and in fact has become the reference social media platform. So much so that if something is not mentioned on Weibo, in fact, it is as if it did not exist. The main issue of Chinese digital censorship is not so much the exclusion of foreign technologies, but the government’s effort to maintain data centralization. For this reason, having the servers off-shore was considered unacceptable. The interesting aspect is that this situation has strongly stimulated the internal market to produce platforms that, although in the spirit copied from American companies, are still developed and maintained in China. These “copied” companies have generated highly innovative products and are becoming points of reference. This phenomenon is spreading so much so that for example Tokopedia, the e-commerce platform no.1 in Indonesia, defines itself “the Indonesian Taobao“, and the Indian Snapdeal is nicknamed “the Alibaba of India”. Another side effect is that, since all data is centralized in Beijing and accessible only to the central government, local governments can not access it. The consequence is that in case of protests due to poor management, the local governors cannot help but apologize and make adjustments. As we have seen, the effects of Mao’s Great Leap Forward were a strong emphasis on the development of manufacturing and heavy industry, which have led to overwhelming environmental damage over time. In the last 30 years, however, the development of manufacturing, together with a very low labor cost, has contributed to the explosive rise of the Chinese economy, generating an exodus from the countryside of almost 200 million peasants with the mirage of a smoother life. But manufacturing and heavy industry have now exhausted the boost and the Chinese economy has begun to slow down, highlighting the effects of decades of waste. The housing bubble has grown exponentially, along with the national debt, with literally dozens of huge ghost towns, that were built and then abandoned. Xi Jinping’s government finally recognized the problem and started a new development plan, abandoning manufacturing and focusing on hi-tech. The program includes investments and development in areas such as precision agriculture, railways and high-tech vessels, biopharmacology, green technologies, aerospace industry. Of course, all of these areas considered also in the context of the applications of Artificial Intelligence. A “leap forward” towards high technology, therefore, drastically reducing the role of manufacturing and heavy industry, while people who were working in those industries found themselves without work and literally “forgotten” on the sidelines of the society. Does it sound familiar? Maybe. Today in China more than 12 thousand start-ups are founded every day: a technological development with a dazzling rhythm, which could disregard loans to privates. The model of state-owned banks, however, designed to support a few state-owned industries and large-scale joint-ventures, was too rigid to keep up. The solution was to channel funds from private investors through private investment companies, creating a Shadow Banking industry worth 70 trillion dollars. China’s recent history not only speaks of isolation and overbuilding but also of huge investments in Africa, where China is pumping billions in the name of “mutual prosperity”. We can say that China (India is rushing in the business too) is slowly building Africa of the future, and what made the difference compared to 500 years of Western presence, especially in the eyes of Africans, was the partner-like approach rather than a colonialist one. Where the West has never gone further than the mere shipment of surpluses for basic necessities, China has invested in infrastructure to also help develop the continent. 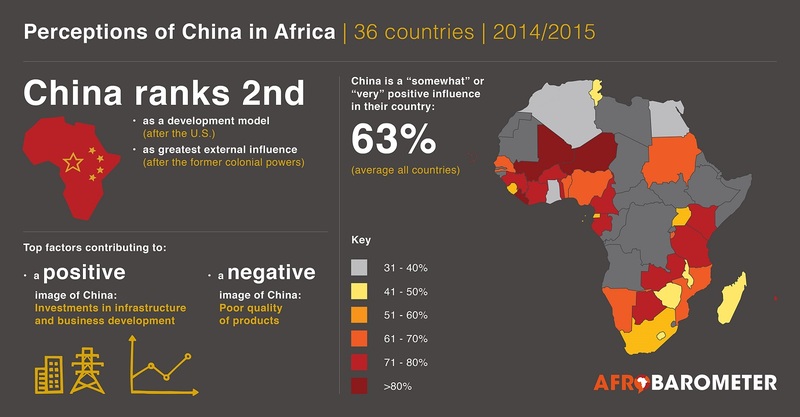 The perception of the Chinese by Africans is evident by looking at the statistics of AfroBarometer. While Baidu and Alibaba are among the most successful names in the Chinese technology industry, there is much more. Below are some prominent examples. Wechat is the icon of the development “caused” by the big firewall we talked about before. It was born as an alternative to applications such as Skype and WhatsApp, it became a container that can handle everything: from chats to payments, from calling a taxi to the reservation of train sit. For payments, it quickly became the reference platform in China, where cash is disappearing and credit cards have never taken root, to the point that even beggars are showing their QR code on the alms jar. It is not difficult to imagine that this model could be a temptation for our own social media, like Facebook or Google. This too could become part of the “reverse shanzhai” phenomenon, that is, the counterculture for which gradually the platforms born as clones in China gradually become reference points which in turn are copied abroad. Israel is not the only country to invest in technologies to work the desertified land. China was the first country to approve, in 2002, a specific law to fight desertification, managing to transform more than 200 hectares of dunes into fertile soil. The first quantum satellite, launched by the University of Science and Technology of China in 2016, managed to complete the first quantum transmission. This could ultimately give rise to the much-hyped hack-proof quantum networks. In the last 30 years, “Made in China” has always been synonymous with low-quality economic copies. The lack of innovation is only partly related to the middle class’ low propensity to risk. A BBC survey shows that the Chinese know how to think outside the box as anyone else, even if until now the educational structure and government policies has not been encouraging innovation. 2. In reality, more than trade, we can speak of real exploitation. 3. Pu-Yi was only two years old when he was crowned emperor in 1908. 4. Respectively the Chinese Nationalist Party (KMT), and the Chinese Communist Party. 5. In fact, many farmers were “reconverted” to industrial production to increase production, while the intellectuals were forced to work in the fields to “taste the true reality of China”. The result was industrial machines maneuvered by inexperienced peasants, and fields worked by intellectuals. 6. It is estimated that the famine due to the great leap forward caused the death of more than 30 million Chinese.